Computer Diagnostics, Emergency Roadside Repairs, 24 hours a day/ 7 days a week. 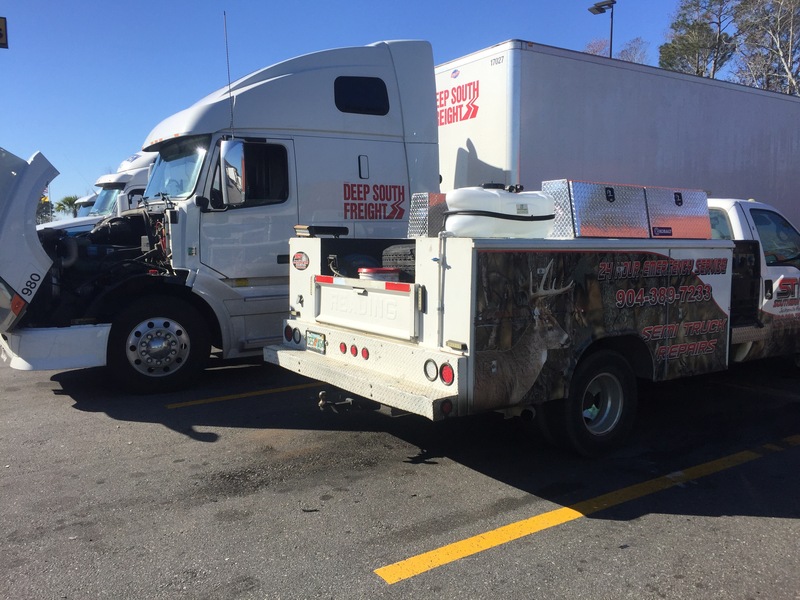 If you have a truck down in the Jacksonville area, give us a call for immediate service (994) 389-7233. 24/7. You’ll be glad you did. Summers almost here and it’s gonna be a hot one. We are a S609 certified A/C repair facility and we can get you COLD FAST!!! Give us a call at (904) 389-7233 for an immediate appointment. Priced right and exceptional service. We are the ones to call the Jacksonville area. Full service truck repair shop. 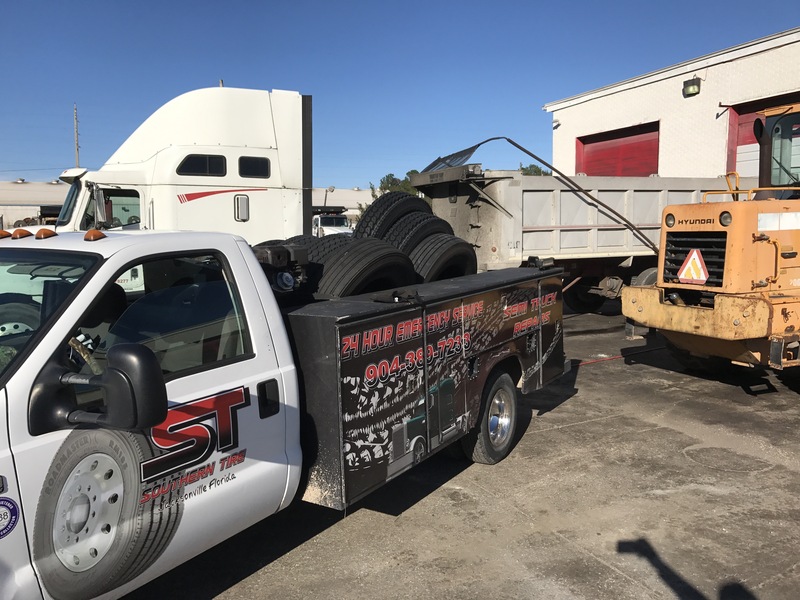 Truck tires and trailer repair. We do it all. All makes, all models. Southern Tire & Fleet Service are to “go to” guys in Jacksonville for all your over-the-road breakdowns. (904)389-7233 is the number to call for immediate service. Our average call to site time is 30 minutes. Our rates are fair and our service trucks are fully stocked with the most common repair parts so we can get you back on the road FAST! Computer diagnostics, DOT Annuals, PM’s, air leaks and ABS systems. Tires, seals, clutches. You name it, we fix it. We’re located at 5919 Commonwealth Ave right next to the truck stop at Lane Ave. 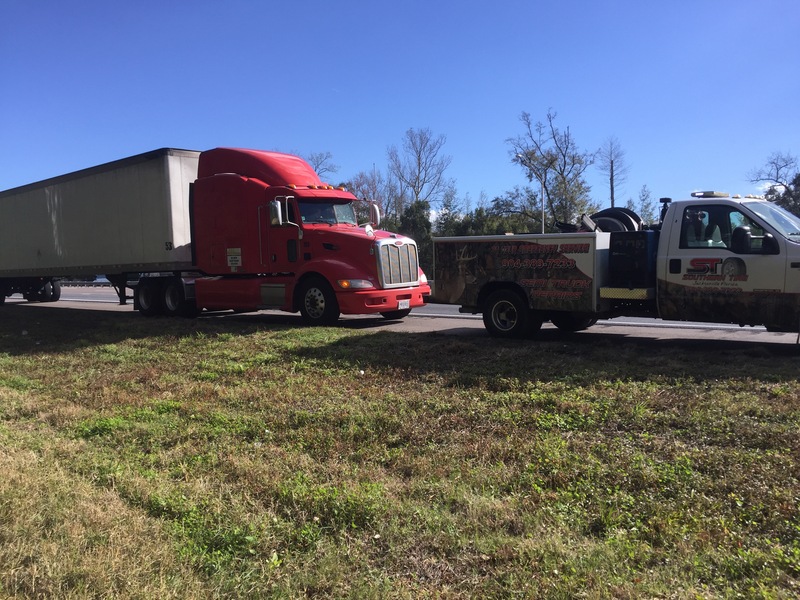 If you have a truck down in the Jacksonville area, just give us a call at (904) 389-7233. We offer in shop and road side repairs. Computer assisted diagnostics with the latest updates and advancements is just one of the services we provide. Fuel Systems, Air Systems, Brake Systems, Drive Line…….. We do it all! 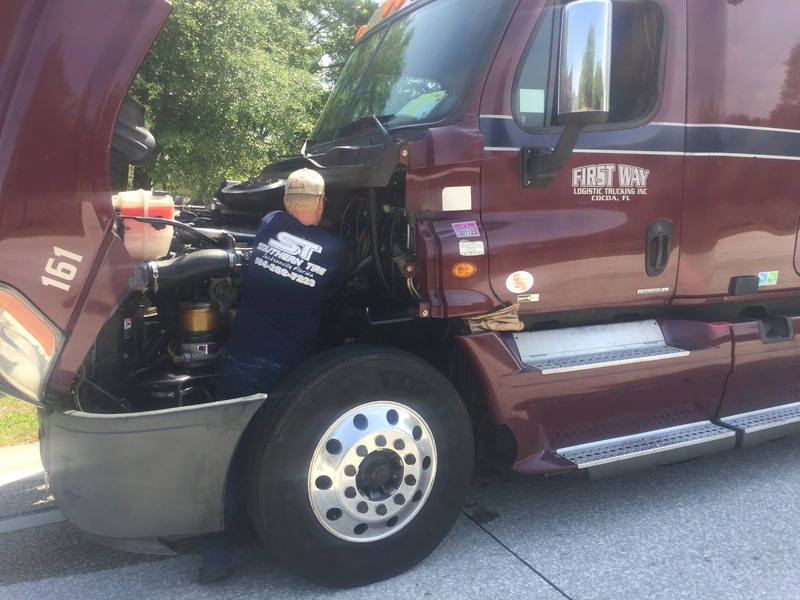 If you have a truck down in the Jacksonville area, call (904) 389-7233 for immediate service and pricing. 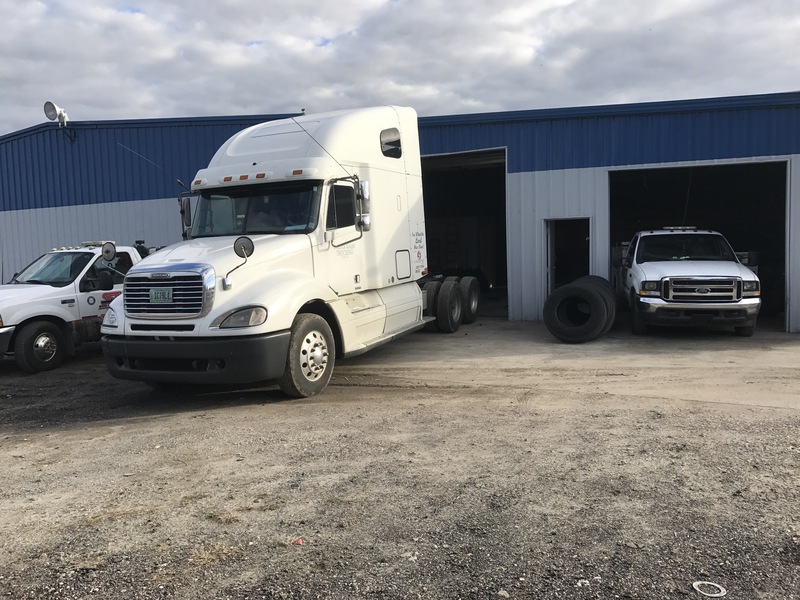 We can service your truck either in house or roadside. 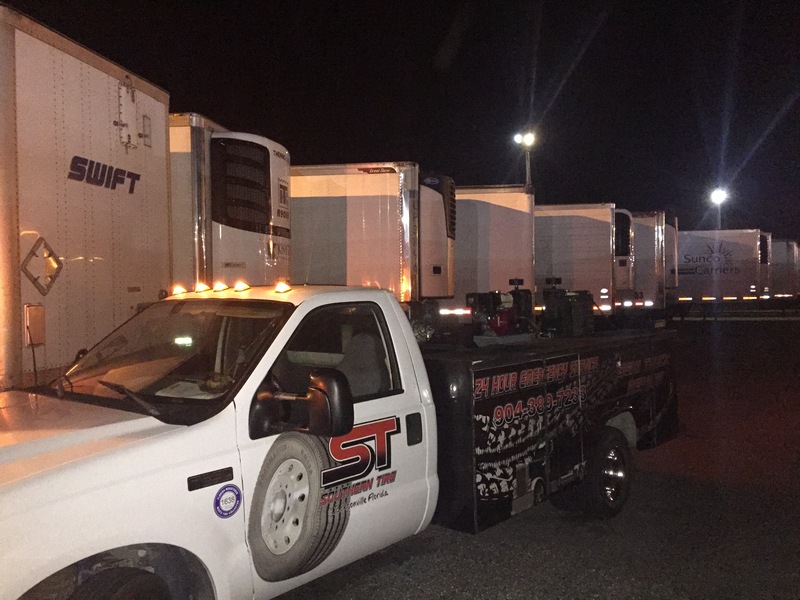 Our fully stocked service trucks and qualified technicians will get you back 0n the road fast. Voted #1 by Owner Op’s! 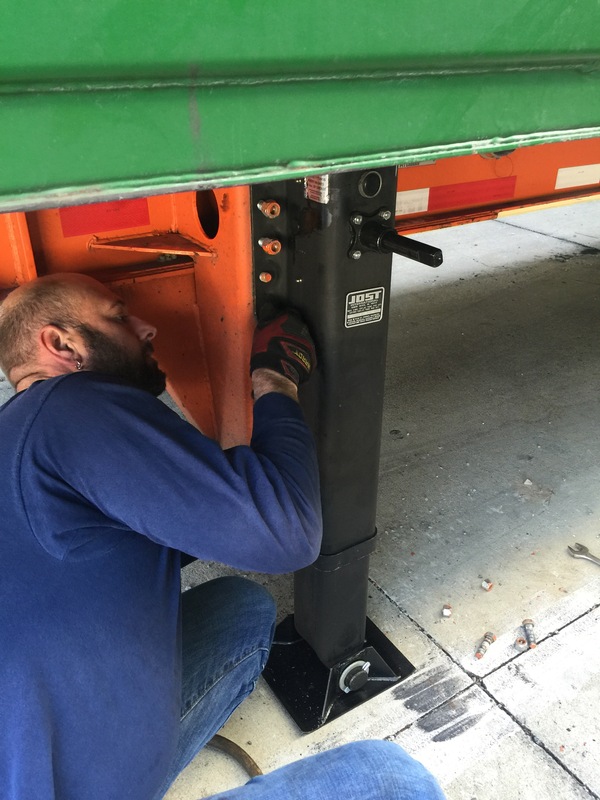 See why owner operators choose use us for their truck, tire and trailer repair services. Fast service and fair prices. Jacksonville Truck Repair (904) 389-7233 Blog at WordPress.com.